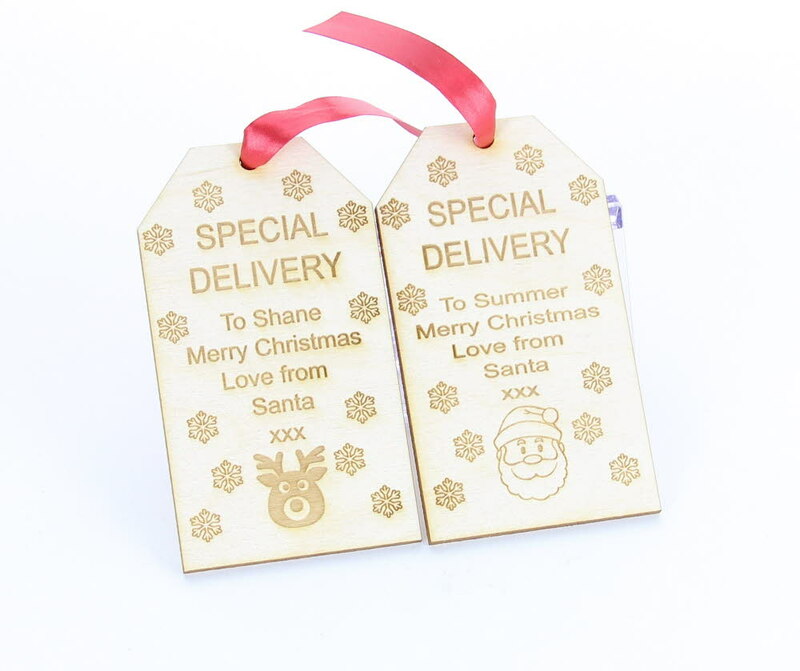 These great rectangle gift tags measure 100mm x 55mm and are available in 2 designs, Santa and Reindeer. The SPECIAL DELIVERY text and snowflakes are preset. Ideal tags to put around the present sacks from Santa himself. We have 2 great designs for you to choose from, all you need to do is to select your design and tell us the text to be engraved. We will then work our magic to make your unique gift tag!